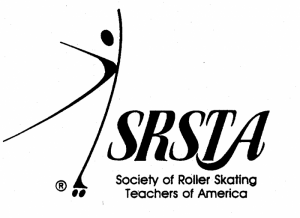 Established in 1940, the SRSTA is composed of skating coaches and instructors of all skating disciplines. SRSTA membership umbrellas all disciplines - Learn to Skate, Artistic, Speed and Hockey. SCA membership is geared towards coaches and instructors focused on the Speed discipline and RHCA membership if for those who's focus is Roller Hockey. SRSTA and SCA memberships are a yearly $40 fee and RHCA memberships are a yearly $30 fee. Our coaches and instructors are the best in the industry. With access to the RSA Achievement Program, our coaches are able to build skaters from beginner to competitor. A great training tool for athletes that coincides with competition requirements. Encourages skaters to learn new skills. Tests for all disciplines and levels of skaters. Unique program for all skaters - recreational and competitive. Basic skills of all skating disciplines are introduced. Great learning tools for new teachers. Prepares skaters for more advanced levels of skating. Specially designed award pins and certificates through the Super Skater Program. Become proficient in the techniques of skating. Creating caring and dedicated skaters. Begins a successful and meaningful skating career. Develops interest in the sport of roller skating. Taught in a progressive manner according to skaters' skills. Epitomy of testing your own skills. Members will receive an SRSTA/SCA/RHCA Membership Card and Certificate yearly upon renewal. Access to the RSA Achievement Test program, which provides a non-competitive atmosphere for skaters to master increasingly difficult skills while instilling in a skater the rewards of hard work. Member coaches receive $1.00 for every achievement test they administer (excluding Super Skater tests). Member coaches who are RSA judges are not required to pay their yearly Judge Commission Registration fees. Service Award recognition for continuous years of membership (awarded in 5 year increments). RSA website access (username and password provided upon sign-up or contact membership@rollerskating.com to receive your information). Online access to the RSA Directory – lists of rinks, coaches and judges. RSA Today weekly e-newsletters (automatic, but if you are a member and aren't receiving the e-newsletter, contact: editor@rollerskating.com). Access to roller skating educational materials and clip art. Every current SRSTA member who coaches a USARS National Champion is recognized with a special pin, known as the “Sissy Award”. RSA Convention & Trade Show member rates. As an SRSTA member, you are eligible to have your graduating high school seniors apply for a $4,000.00 tuition scholarship. Applications are open to children or employees of members and affiliate members; or, to the child of an employee of a member or affiliate member. Applications for Fall, 2015, scholarships are due April 1, 2015. Click here for information. Access to discounts on Hertz rental cars and Office Depot Purchasing Program. ﻿(To obtain the RSA discount codes, please contact Membership Services, at 317-347-2626 Ext. 108 or membership@rollerskating.com).